The fundamental principle of a Gripple device is simple: there are two channels, each with an independent locking mechanism. The ‘lock’ is created by the roller, which is free to move in one direction only and grips the wire as it moves back. This concept allows tension to be applied throughout the life of the wire. 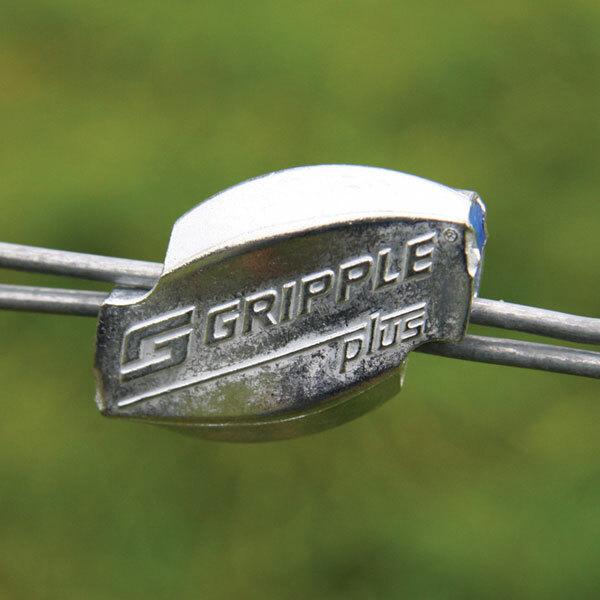 Joining – Unlike fiddly knots and crimps, the Gripple Plus is not just a wire joiner, but a tensioner too. Installation is simpler and up to five times faster. Maintenance and repair – To combat natural ground movement and wire elongation every Gripple product can be tensioned and re-tensioned year after year. For repairs, simply use two Gripple Plus to splice a section of wire into the break and apply tension.